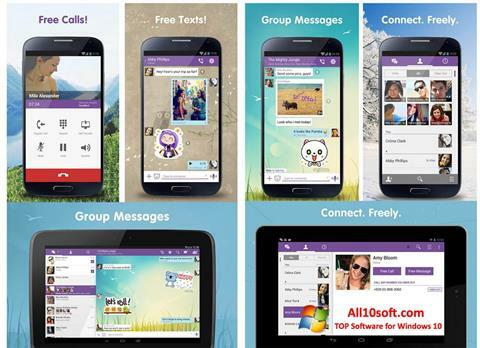 Viber for Windows 10 - functional instant messenger with the ability to make calls to mobile phones. The application allows you to exchange text messages, any files or multimedia content, store correspondence and archive data. The program includes a shop of stickers and mobile games, it is possible to customize the interface and add a profile from facebook. The messenger includes support for audio and video calls between users of the service, contains a module for setting call forwarding parameters, allows you to encrypt all correspondence and create group open or closed chats and public messages. You can free download Viber official latest version for Windows 10 in English.